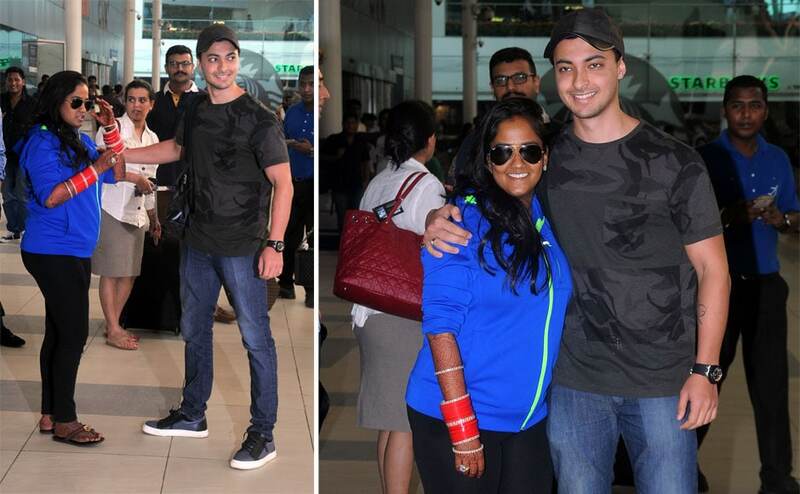 The newlyweds Arpita Khan and Aayush Sharma are back in Mumbai after their fairytale wedding and are all set to begin their married life. 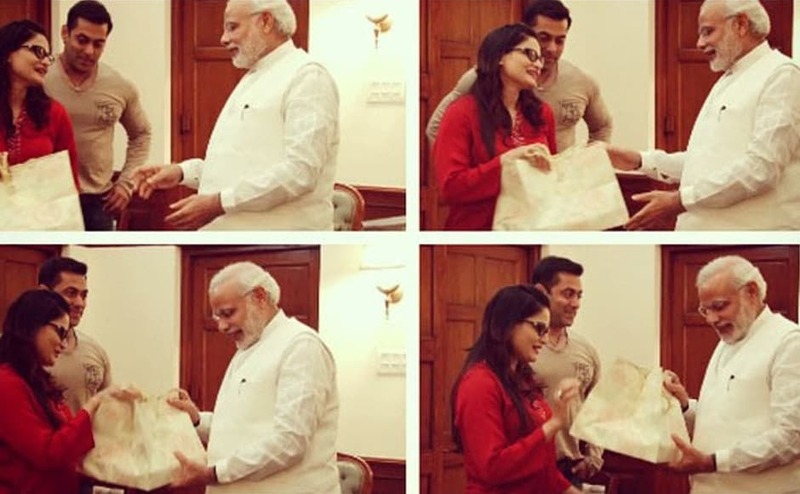 Click here to view photos of the two at Mumbai domestic airport. 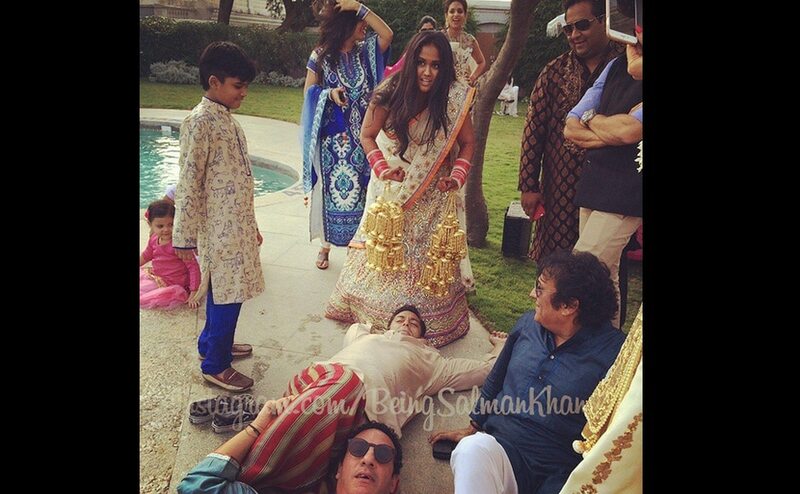 While there are many photos of Salman's sister Arpita's wedding that's doing rounds on the social media. Here are some that you might not have seen so far. Click to find out. 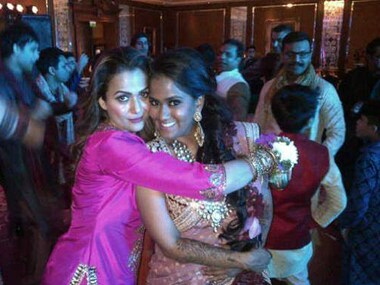 The wedding celebrations of Bollywood superstar Salman Khan's sister Arpita Khan with businessman Aayush Sharma began at the Taj Falaknuma hotel here Tuesday evening. 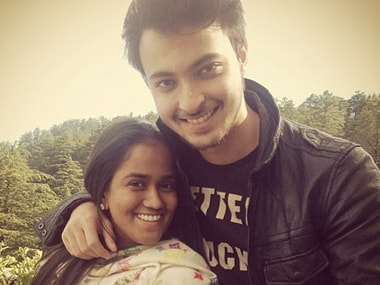 The stage is set for Salman Khan's sister Arpita Khan's marriage with businessman Aayush Sharma here Tuesday as the actor's entire family landed here. 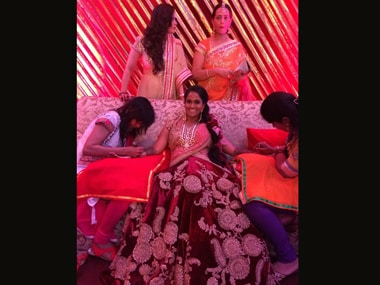 The stage is all set for Salman Khan's sister Arpita Khan's wedding with businessman Aayush Sharma and it seems tweeple too are sending their blessings for the happy couple. 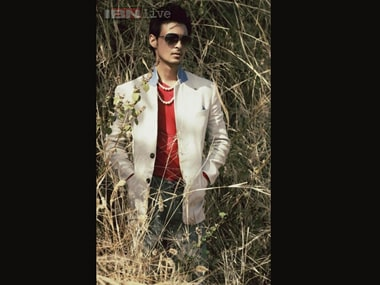 A leading ethnic wear manufacturer here has made a special sherwani to present it as a gift to Aayush Sharma, who is marrying Bollywood star Salman Khan's sister Arpita Khan here Tuesday.